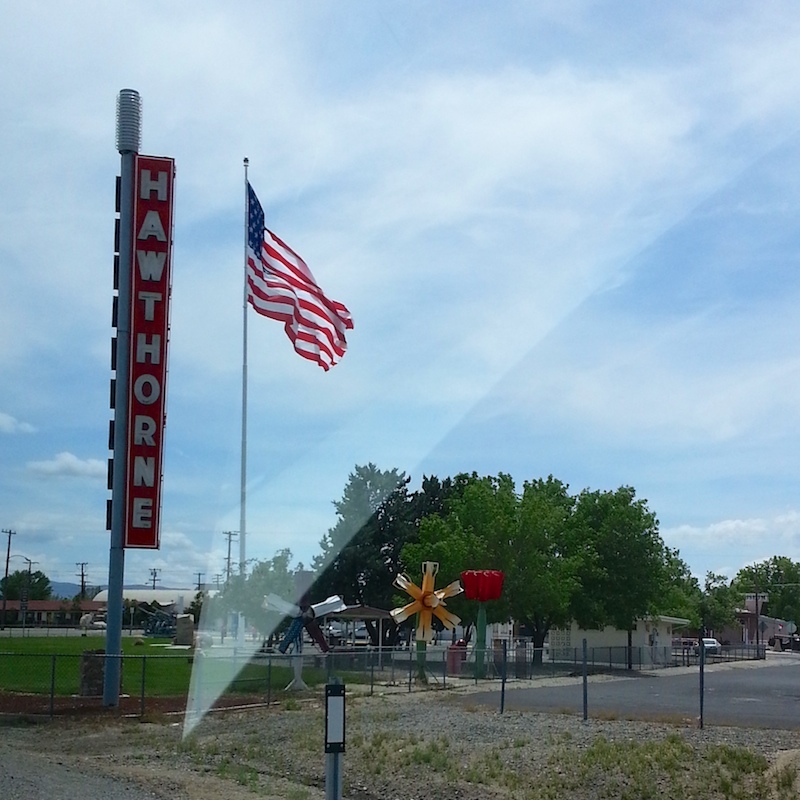 Hawthone is a small community in the middle of the Nevada Desert. It was oddly fascinating and also kinda creepy and scary driving through this town. It's the largest ammunition depot in the world. 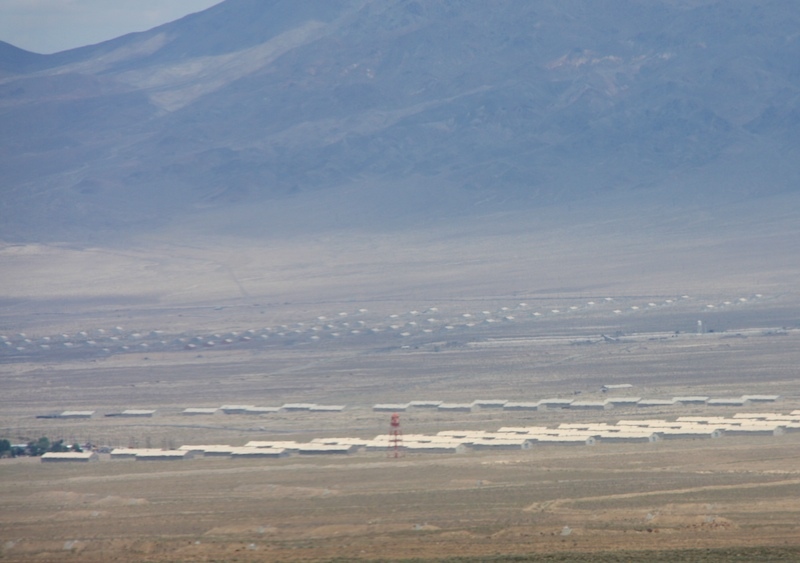 There are hundreds if not thousands of ammunition bunkers precisely spaced out for miles along the desert town so if one blew up, it wouldn't set off a chain reaction on another bunker, and so on and so on. This happened in New Jersey in 1926 so they learned from that mistake. 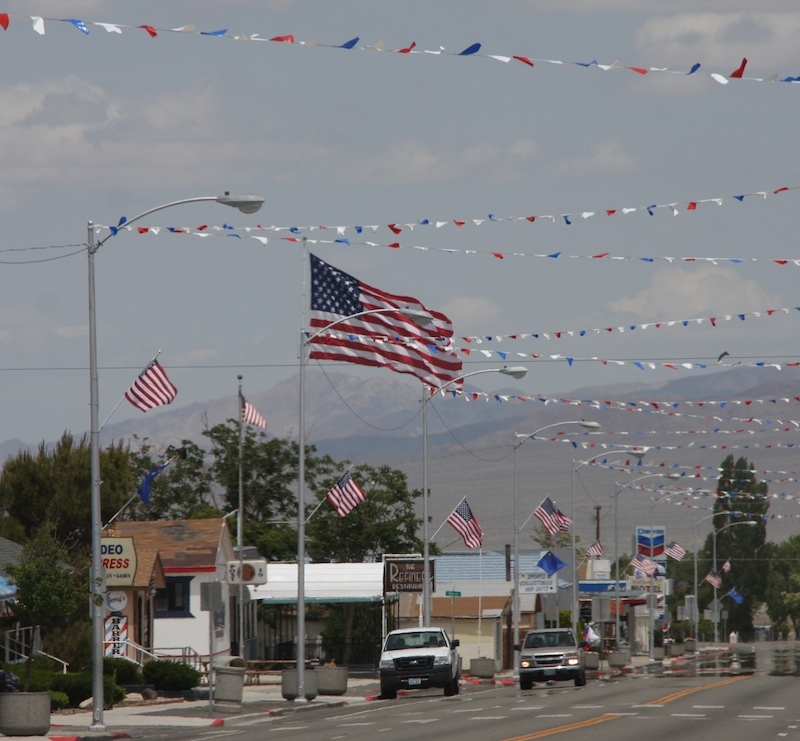 There aren't a lot of households in this community, but since they're all a part of maintaining this Naval facility, it's a very patriotic town.